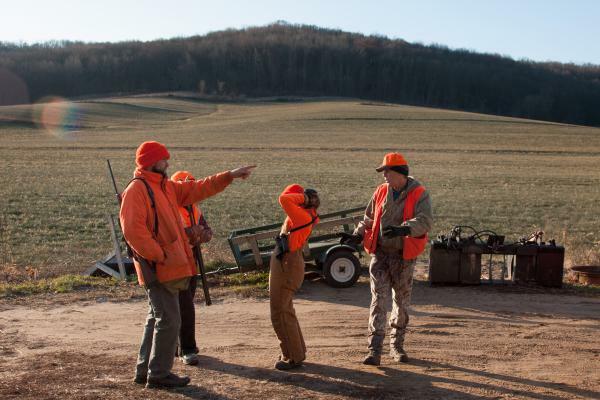 A group of hunters gather in southern Wisconsin for a late season antler-less deer hunt. 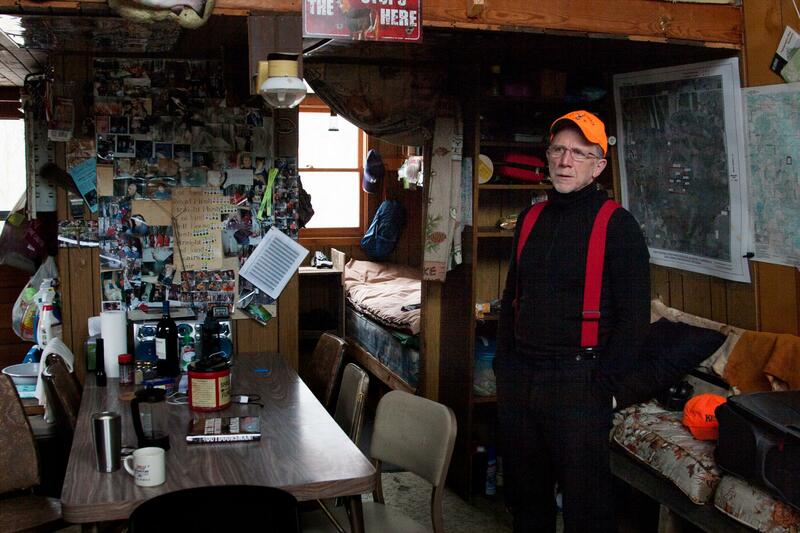 Tom Wrasse is alone at his hunting shack on the last day of a deer hunting season. "I try to keep the tradition alive," he says. 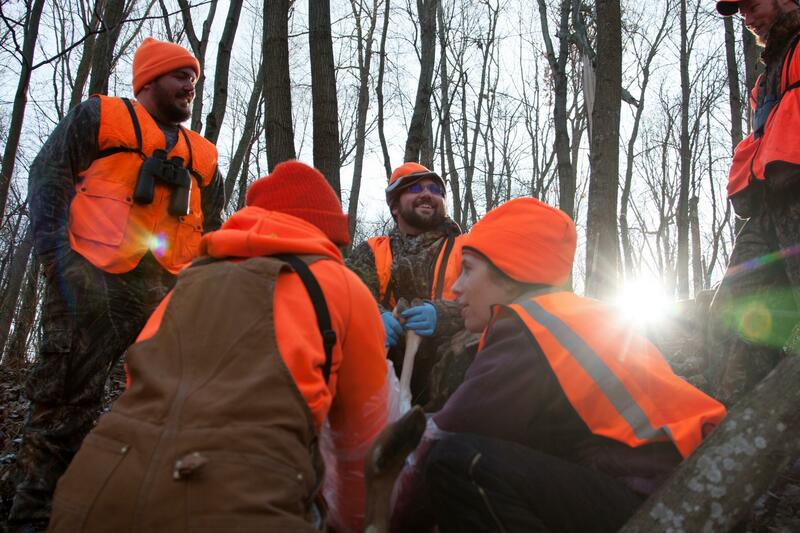 Tyler Hasheider (center) helps coach Beth Wojcik (bottom right) on how to clean a deer. They harvested two does during a day of hunting. There are stories behind every deer head and set of antlers at Tom Wrasse's hunting shack. It's rare, he says, to see big bucks in this area anymore though. Emily Iehl and Beth Wojcik set out to find an open spot to sit and wait for moving deer. Iehl, who works with Wisconsin's DNR is mentoring Wojcik, who has never killed a deer before. Mitch Mode, the owner of Mel's Trading Post in Rhinelander, Wis., has watched as people's outdoor interests have shifted towards sports like cross-country skiing and bicycling. 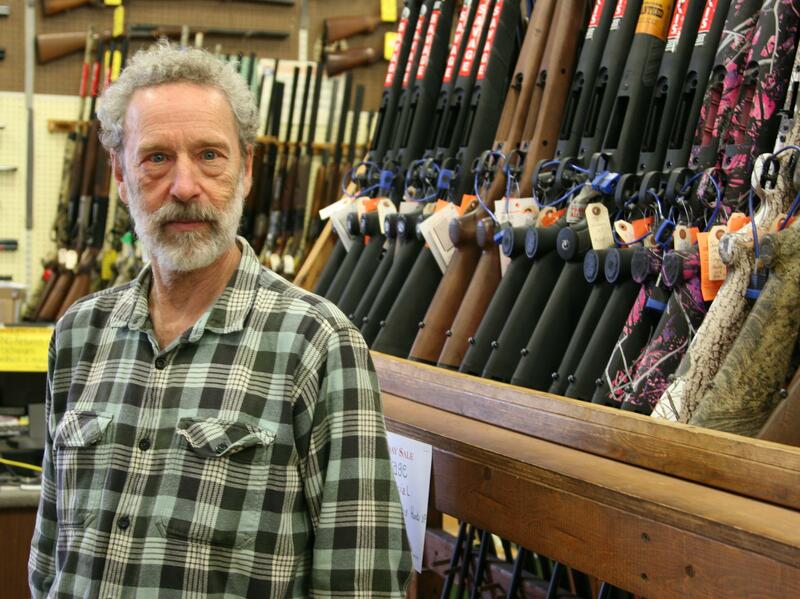 Fewer customers buy hunting gear these days, he says. 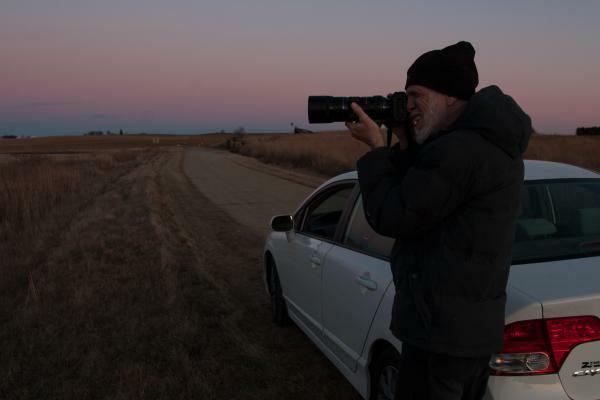 Neal Deunk photographs geese at a wildlife refuge north of Madison, Wis.
Tom Wrasse is at his hunting shack alone. Light pours into the small room from a window framed by antlers, harvested from the surrounding central Wisconsin woods. On the opposite wall is a collage of fading photos, showing how big the hunting parties out here used to be. "I try to keep the tradition alive," Wrasse says, looking at the photos over a cup of coffee. "But no, they've all gone their separate ways." In rural Wisconsin, the passion for hunting still appears to burn as bright as the blaze orange jackets you'll see stalking through fields or clambering up into trees during deer season. But stop into a meat processing center or a sporting goods store, ask about it at a bar or a hunting shack and you'll hear from people like Wrasse: Fewer people are hunting. "It's just kind of fading away," he says. A new survey by the U.S. Fish and Wildlife Service shows that today, only about 5 percent of Americans, 16 years old and older, actually hunt. That's half of what it was 50 years ago and the decline is expected to accelerate over the next decade. Meanwhile other wildlife-centered activities, like birdwatching, hiking and photography, are rapidly growing, as American society and attitudes towards wildlife change. The shift is being welcomed by some who morally oppose the sport, but it's also leading to a crisis. State wildlife agencies and the country's wildlife conservation system are heavily dependent on sportsmen for funding. Money generated from license fees and excise taxes on guns, ammunition and angling equipment provide about 60 percent of the funding for state wildlife agencies, which manage most of the wildlife in the U.S. This user-play, user-pay funding system for wildlife conservation has been lauded and emulated around the world. It has been incredibly successful at restoring the populations of North American game animals, some of which were once hunted nearly to extinction. But with the slide in hunting participation expected to speed up in the next 10 years, widening funding shortfalls that already exist, there's a growing sense of urgency in the wildlife conservation community to broaden that funding base. Congress is looking at tapping oil and gas revenues. Some states are adding general sales taxes, while others are looking for ways to tweak the user-play, user-pay model to better represent how today's society interacts with wildlife, monetizing activities like wildlife-viewing. Those efforts are running into a larger question: Is the greater public willing to pay more to protect wildlife? "Conservationists need to be looking at what is the next step to keep our conservation programs and places strong and healthy," says Mary Jean Huston, director of The Nature Conservancy in Wisconsin. "Things need to evolve." And they need to evolve fast. In Wisconsin, a lack of funding has prompted the state's Department of Natural Resources to leave staff positions unfilled and cut back on habitat management. Colorado's wildlife agency has cut tens of millions of dollars in expenditures and trimmed programs that deal with invasive species. Vermont's fish and wildlife department, which manages more than 25,000 species and nearly 2,000 native plants, is cautioning that even though the state leads the nation in wildlife viewing, that activity "provides no significant revenue stream to the department that would allow for the management of the resources viewed." A panel on sustaining America's fish and wildlife resources recently warned: "Without a change in the way we finance fish and wildlife conservation, we can expect the list of federally threatened and endangered species to grow from nearly 1,600 species today to perhaps thousands more in the future." In 1992, Tom Heberlein, a rural sociologist at the University of Wisconsin-Madison, made a bold prediction: If sociological trends, like increasing urbanization, smaller family sizes and growing anti-hunting sentiment continued, the sport of hunting – as Wisconsinites knew it – could be extinct by the year 2050. A quarter century later, Keith Warnke, the hunting and shooting sports coordinator for the state of Wisconsin, sits at his desk in downtown Madison looking at a graph of recent hunter data. "It's just striking how close demographers were in their estimates to the actual hunter numbers," he says. Warnke is a "recovering biologist," as he puts it, so he collects hunter data and demographics – age, gender, location, etc. – with the same detailed focus that he used to apply to tracking deer populations. Only now, he uses unique identification numbers instead of ear tags. And while he does not believe that hunters will go extinct in the next few decades – or ever, for that matter – he does know a steeper decline in hunting participation is coming, as Heberlein predicted. Increased urbanization, restricted access to huntable areas, lack of free time, and the rise of Netflix, video games and all-consuming youth sports are all dropping hunter numbers, but the most-pressing challenge is one that Warnke and others can't do anything about. "We're up against a demography wall," Warnke says. "A wall of demographics when the number of hunters is really going to decline." That wall is an age. Sixty-five. That's when the average hunter stops buying licenses and picking up their rifle, Warnke says. For many hunters in Wisconsin and around the U.S., that wall is rapidly approaching. Nearly a third of all hunters in the U.S. are baby boomers. They hunted like no other generation since. But the oldest Boomers are already aging out of the sport and the youngest, at 54, are only about a decade away from joining them. When put on a timeline, that cohort of older hunters looks like a wave, moving through time, that drops as it hits the age of 65. "What that means is the way that conservation was done in the past is not going to be sufficient in the future," says Randy Stark, the former chief game warden for Wisconsin's Department of Natural Resources, or DNR. To understand the connection between hunting and conservation, you need to go back to when deer and geese weren't viewed a public nuisance, but as the rare wildlife they were. In the late 1800s, American wildlife was in a bad place. Market hunting, trapping, invasive species and American's rapid expansion westward had pushed many wildlife species to the brink. 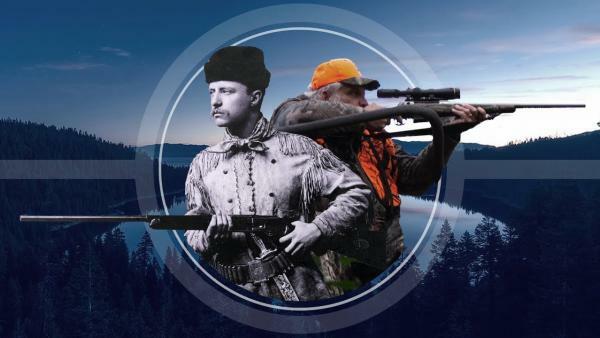 All of this over-hunting got the attention of a couple of other hunters – one who would go on to found the Audubon Society, another who would become the 26th and youngest president of the United States. George Bird Grinnell and Theodore Roosevelt, along with others like John Muir and Gifford Pinchot, helped establish the American conservation movement around the idea that wildlife and other natural resources, belong to all Americans – current and future. As such, they needed to be preserved or conserved. Roosevelt proposed the idea of "conservation through wise use," and started pushing his fellow hunters to help pay for that conservation. Licenses or permits for hunting already existed. New York sold the first permit to hunt deer in 1864. Under Roosevelt though, the practice spread and license fees became a source of revenue for states. Then, in 1937, legislation was passed that linked the financing for wildlife conservation to hunting in a way we're still seeing today. "Nobody could anticipate 100 years later what society would look like," Stark says. "In some ways the way that conservation was funded and conceived in its early years contributes to the problem we have now." The Federal Aid in Wildlife Restoration Act, or the Pittman-Robertson Act, as it's more commonly known, requires that states use their revenues from hunting license fees for wildlife management. It also took an existing 11 percent excise tax on guns and ammunition and directed that money to state wildlife agencies for wildlife restoration and protection. A similar act was later passed to tax angling equipment. More than $19 billion has since been apportioned to state wildlife agencies from funds generated by those taxes. With gun sales surging in recent years, that pool of money has actually grown. People in the hunting world joke that former president Barack Obama was the greatest conservationist since Roosevelt, because of the record gun sales during his presidency. To access those federally apportioned funds, states have to pony up some of their own matching money - 25 percent or more of the total they're looking to get back. No match, no money. "With decreases in license sales, we're getting to the point as a state agency that we're struggling to match those funds," says Eric Lobner, the head of the wildlife division for Wisconsin's DNR. Many states have increased license fees for out-of-state hunters to compensate for the decrease in license sales, but Lobner says there's only so far you can raise fees before you start pricing people out. At the same time, he says, the cost of doing business is going up and the demands on his agency are growing. Climate change and development are threatening more species. The public wants protections for animals that it used to not care about. The combination is creating a crunch. The National Wildlife Federation, a nonprofit conservation organization, says that current funding levels for national wildlife conservation are "less than 5 percent of what is necessary." In Wisconsin, Lobner says, they've had to cut 16 positions in their program because of budget shortfalls over the last four years - people who would have been managing wildlife and habitat. Open positions are staying vacant longer. Programs and services are being scaled back. In a report to the Wisconsin legislature's Joint Committee on Finance, the DNR listed several ongoing or potential reductions due to insufficient funds, including fewer game warden patrols, less habitat management, fewer fish surveys and 2,000 acres of shallow wetlands that are being left unmanaged. Wetlands that, as Lobner points out, don't just serve as wildlife habitat but also help to purify the state's drinking water. "These are resources that the public wants," Lobner says. "We've been hearing they want to see waterfowl, they want to see deer, they want to see bear, whatever the species it is. They want those resources at their disposal." The question is: Are they willing to pay for them? Public support for hunting remains high across the country, even with fewer people participating. Public support for wildlife conservation is even higher. Nearly 90 percent of Wisconsin residents - Republicans, Democrats and Independents - agree that money should be invested in protecting land, water and wildlife even when the state's budget is tight, according to a poll commissioned by the state's chapter of The Nature Conservancy. Nationally, 74 percent of Americans believe the country should "do whatever it takes to protect the environment," according to the Pew Research Center. But in most cases outside of hunting and fishing, that's not being translated into dollars. Philanthropy and nonprofits have certainly stepped up to try and fill the void, bringing in money for habitat purchases and management. A few states have passed sales taxes to help fund conservation. Others have tapped lottery ticket sales or started selling specialty license plates. Even Congress is looking for a solution. Legislation, introduced late last year, would redirect revenues from energy and mineral development on federal lands to state wildlife programs. The proposal has bipartisan support, but similar efforts to secure wider funding have failed in the past. 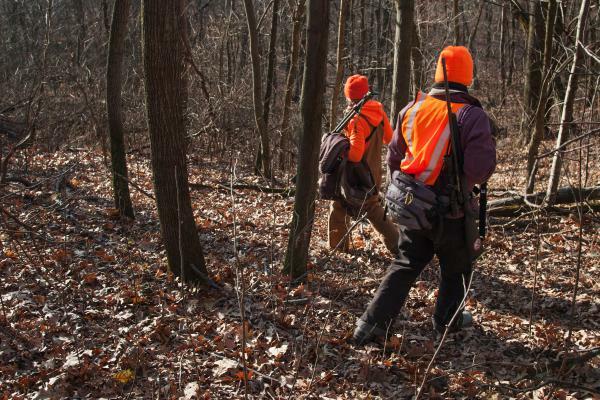 So in most cases, state wildlife agencies like Wisconsin's are going back to the hand that feeds them, doubling down on hunters with programs to retain old hunters, reactivate those who have quit the sport and to recruit new hunters. For the latter, state wildlife agencies are increasingly looking for new hunters that don't fit the traditional mold by advertising in urban areas, opening stands at farmers markets and staffing community events. In Wisconsin, they're offering free classes on college campuses, teaching hunter's safety and hands on butchering clinics, with the goal of capitalizing on the locavore movement and a renewed interest in wild meat. These efforts are having success, Warnke says, particularly in recruiting women to the sport. 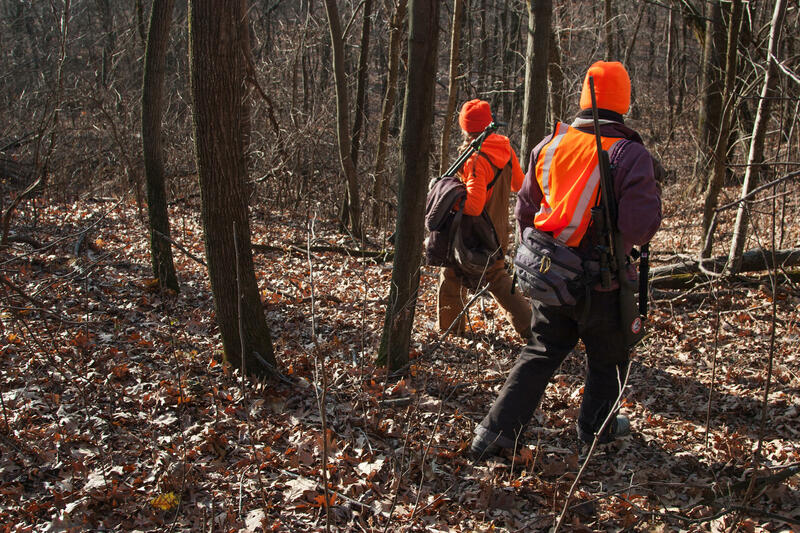 "But when you look overall, our small group isn't going to change the trend," says Jim Wipperfurth, a volunteer for Wisconsin's DNR who leads recruitment hunts. "There's just so many factors involved, it's hard to just change it." This pains Wipperfurth and other hunters to say. It's not just the loss of a sport or a revenue source they're trying to stop, but the loss of a tradition and a connection to the natural world, Wipperfurth says. "Who goes and sits in the woods all day except hunters?" Wipperfurth says. "If hunting didn't exist, who'd know that the squirrel population is down, that a windstorm knocked all these trees down - who'd know all of that stuff? Because we're the ones out here seeing all of it." The latest numbers from the U.S. Fish and Wildlife Service show that 86 million Americans participated in wildlife watching in 2016. That was a 20 percent increase from just five years previous. The number of people enjoying outdoor recreation is increasing as well. "We need to find ways for the rest of those folks, who are canoeing and cross country skiing and biking and going to the park to contribute as well," Huston says. There have been efforts to tax outdoor equipment like sleeping bags, tents and binoculars. Some in the wildlife management world joke about an "REI Tax," a reference to the chic outdoor retailer. Those efforts have failed though, in large part because of opposition from the outdoor industry, which argues that it already pays billions of dollars in taxes through import tariffs. That revenue should be used to adequately fund conservation, says the Outdoor Industry Association, a trade group that represents retailers like Patagonia and The North Face. The arguments about funding for conservation can quickly grow divisive. Hunters are quick to write off other outdoor recreationists as hippies and "free riders." Wildlife advocates are quick to paint hunters as hillbillies, clinging to an outdated tradition. But many people are in the middle. "Wildlife conservation has been at its strongest when hunters and non-hunters are allied together for wildlife," says Adena Rissman, an associate professor of forest and wildlife ecology at the University of Wisconsin. The passage of the Lacey Act, the nation's first - and perhaps most powerful - wildlife protection law is a good example, Rissman says. It prohibits the trade of wildlife, fish and plants that have been taken illegally. That act, Rissman says, was galvanized not just by hunters, but by affluent women's groups that had grown concerned about the millinery trade's impact on bird populations. Feathered hats were in fashion in the late 19th century and hunters were killing millions of birds annually, wiping out entire colonies, to feed the demand. Sport hunters, angry about the sorry state of their quarry, were equally concerned. Together, they helped push lawmakers to a legislative solution. A similar collaborative effort is needed to address the funding issues of today, Rissman says, and she believes that other wildlife lovers are willing to contribute. About 20 miles north of Madison, at a quiet, open wildlife sanctuary, Neal Deunk takes pictures of four lonely geese floating on a tiny patch of open water in an otherwise frozen pond. His telephoto lens juts out from the open driver's side window of his car. Deunk knows the challenges facing wildlife refuges like this, with the decline in hunting and shrinking revenues. He says he'd like to see lawmakers allocate more general tax money to address the situation. But he also thinks it would be prudent to get other wildlife enthusiasts to contribute more. "It's difficult to license birdwatchers or hikers and so forth in the same way that hunting and fishing can be regulated," he says, watching as a few of the geese take flight. Asked if he'd be willing to pay a license-fee to view wildlife like this, he pauses. "I think I would," he says. Our next story is about a fading American tradition. New numbers from the U.S. Fish and Wildlife Service show that only 5 percent of Americans hunt. That's half of what it was 50 years ago. That drop is expected to accelerate as America changes and older hunters age out of the sport. And that's leading to a crisis in the way we pay for wildlife conservation. NPR's Nathan Rott has this look at the decline in hunting and its consequences. ROTT: ...And ask Jim Irish about opening day when he came in early. IRISH: Expecting a rush, I made a whole bunch of breakfast. And I really didn't sell anything. ROTT: Go into a sporting goods store in northern Wisconsin and talk to Mitch Mode. MITCH MODE: We don't sell as many boots. We don't sell as many blaze orange jackets as we did years ago. 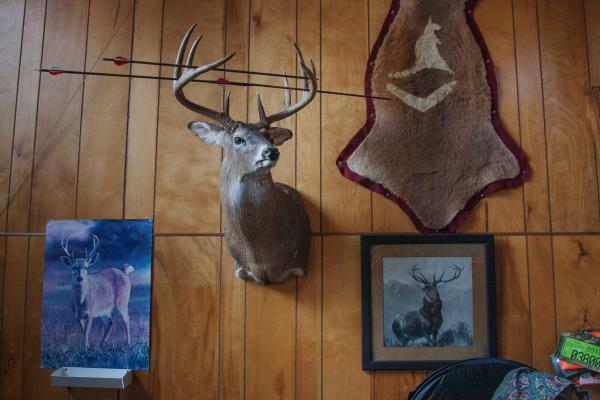 ROTT: Or walk into one of the many remote hunting shacks dotting the rural center of the state and find someone like Tom Wrasse, who has a wall of fading photos showing how big the hunting parties out here used to be. TOM WRASSE: I've tried to keep tradition going, but, no, they've all gone their separate ways. KEITH WARNKE: Has got older and older and older and older. ROTT: Keith Warnke, the hunting and shooting sports coordinator for the state of Wisconsin, would know. WARNKE: I am your average hunter in Wisconsin - 50 years old, white male. ROTT: Warnke, as he puts it, is a recovering biologist. So he tracks hunter demographics with the same intensity that he brought to tracking deer populations. Only now he uses ID numbers instead of ear tags. ROTT: And the data in front of him is pretty clear. Baby boomers hunted more than any other generation since, and now they're quickly aging out of the sport. WARNKE: Oh, yeah, that line is really steady. And it's expected. So we know there's going to be a decline in the number of hunters. ERIC LOBNER: That's not funded by the purchase of a kayak or a paddleboard or a bike. ROTT: Or in many cases the people doing those activities. This is Eric Lobner, by the way, the director of the wildlife division for Wisconsin's Department of Natural Resources. LOBNER: In many situations, the only individuals that really contribute to the management of a wildlife area are those people that are hunting or trapping, and some angling well. ROTT: Let's take a quick second to break that down. While it's true that there are huge amounts of wildlife habitat on federal land, national parks and forests that we all pay for with our taxes, state wildlife areas like Lobner's talking about are just as important and generally free to the public. So if you go to one of those areas as a hiker, let's say, you can go on your hike, maybe see a deer or hear migrating birds, and that's not going to cost you anything outside of the gas money to get there and the worn tread on your shoes. Sure, you could always donate money, but you are not forced to pay anything. A deer hunter, on the other hand, has to pay for a hunting license plus an excise tax of 11 percent on their rifle and ammunition, money that's earmarked for wildlife conservation efforts and state agencies like Lobner's. And that money adds up. Nationwide, state wildlife agencies, which manage tens of thousands of species, get about 60 percent of their annual budgets from hunting and fishing-related activities. Historically it's been far more. LOBNER: So the issue really is that as the number of hunters declines, that revenue available to do conservation declines. ROTT: And there's little relief coming from state legislatures already feeling a financial crunch. So cuts are having to be made. LOBNER: Here with the Wisconsin DNR, over the last four years we've had to cut 16 different positions within our program. ROTT: In Colorado, the state wildlife agency has cut back programs to deal with invasive species. In Wyoming, they're planting fewer trees. MARY JEAN HUSTON: Conservationists need to be looking at, what is the next step to keep our conservation programs in places strong and healthy? ROTT: Mary Jean Huston is the director of The Nature Conservancy here in Wisconsin. Now, what she's saying is the current funding model for wildlife conservation, which has been lauded as one of the most successful in the world, needs to change. HUSTON: Things need to evolve. ROTT: In some states that's happening - a handful of added sales taxes. Others have tapped lottery ticket sales to fund wildlife. Even Congress is looking at this with proposed bipartisan legislation that would bring in money from oil and gas revenues. But in most cases, it's hard to get voters or legislators excited about a new expense, so mostly states are doubling down and trying to get more hunters. UNIDENTIFIED MAN: All right, you guys ready? ROTT: On a sunny, cold winter day, eight people in blaze orange fan out across frosty leaves into a wooded part of southern Wisconsin. They're here to hunt, but also to recruit. Emily Iehl and Beth Wojcik split off together, leaving a ridgetop trail to walk down a steep slope. EMILY IEHL: This looks a little more open so that you might be able to get a shot. ROTT: Iehl and Wojcik are friends from graduate school at the University of Wisconsin. As they settle into a spot, Wojcik looks a bit nervous. Iehl gives quick whispered words of advice. She has done this before. IEHL: If it seems like it's going too fast, don't worry and don't try to shoot. ROTT: Wojcik has taken a hunting class, but she has yet to pull the trigger on an animal. And sitting here, right hand on a rifle, she says she's still not sure that she wants to. WOJCIK: So I'm actually a vegetarian. Studying wildlife ecology, though, I gained a better appreciation of how we're managing wildlife. And hunting is an effective way to do that. ROTT: The meat, she says, she can always just give away to friends. The woods are mostly still. We settle in, watching the world wake up, as one of the hunters here likes to say. Then Iehl looks north. There's a distant crashing sound in the leaves. ROTT: Turns out the deer ran towards the hunters from our group posted up on the other side of the ridge. Two of them were on target. We pack up and hike out to meet the rest of the group. Hunter recruitment and mentorship programs like this exist all over the country, and in some places, they're having success keying in on the locavore movement and a renewed interest in wild meat. But it's not enough to stop the overall decline in hunting numbers. Here's Jim Wipperfurth, a volunteer in charge of this hunt who we meet up with at the top of the ridge. JIM WIPPERFURTH: We're fighting the good fight, but I don't know. I think there's just so many factors involved that it's hard to just change it. ROTT: So what does that mean for state wildlife agencies and the conservation efforts that depend on hunting for money? Wipperfurth says it means that other people are going to need to step up to the plate. WIPPERFURTH: We all value the resource to different degrees. We - I mean, we put our money where our mouth is. We're involved. But, you know, for the general public, to get them to spend the money is the difficult part. ROTT: They may value it in their mind, he says, but that doesn't mean they're willing to spend a dollar on it. Nathan Rott, NPR News. Transcript provided by NPR, Copyright NPR. The state is proposing to drastically reduce the number of permits to hunt moose as the population continues to suffer from a parasite that has grown more abundant with climate change. The ban on “holding or participating" in coyote-killing tournaments was included in a major fish and wildlife bill that passed the Vermont House this week.